Each Jellyfish is a unique, hand made piece of art work. Each carries a metal badge inside with my signature printed. I use various materials but there are no toxins or allergen involved. 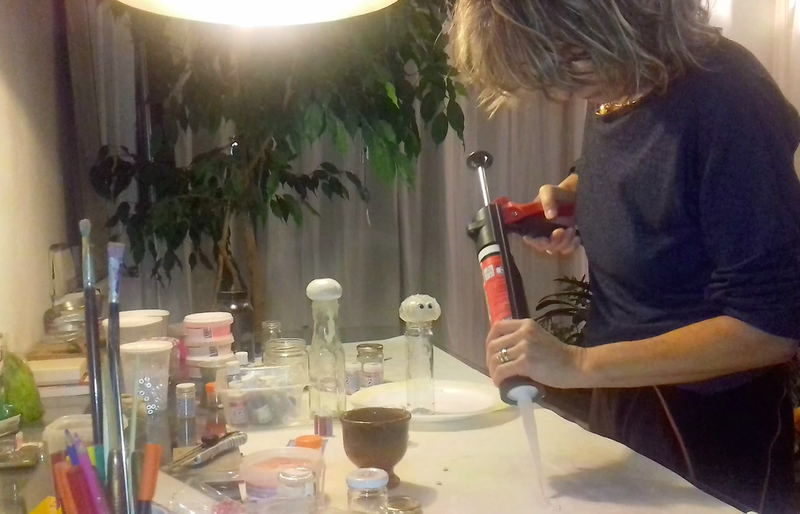 The base material of the Jellyfish is the silicone but I also use color and phosphorescent pigments, glass beads and other shining decorations. Silicone is a very stable substance that allows you to expose them outside in the sun, the heat, the cold and the rain for quite long periods. Personally, however, I would resist the temptation to leave them out in the direct sun over a very extended period as such prolonged exposure might affect the appearance of your art piece as time passes.